Want to upgrade to smart home technology? Here's how! Would you consider living in a hustling and bustling area, or you prefer serene locations on the edges of the city? Choosing the best place to live in Bahrain varies from one person to another, it’s bound to personality and people’s preferences. We will display here the best place the matches each personality in Bahrain. If you are looking forward to living in Bahrain, but didn’t decide which area to settle in yet, this guide will help you most. What on earth are you thinking about? If you are an outgoing person who is about to live in Bahrain, you only have one option, Juffair. 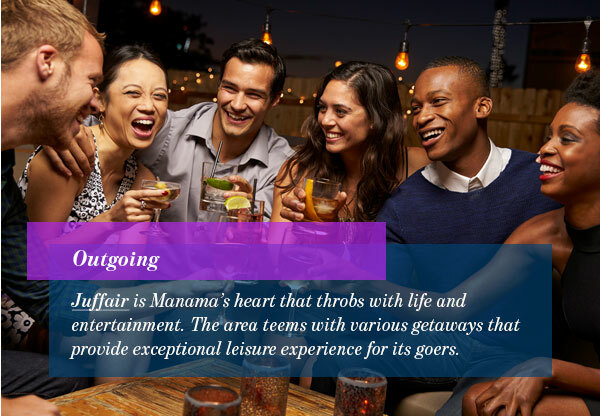 Juffair is Manama’s heart that throbs with life and entertainment. The area teems with various getaways that provide exceptional leisure experience for its goers. Bahrain’s top entertainment and shopping venues are found in Juffair such as Juffair Mall which encompasses large cinema halls, a hypermarket, and a set of branded retail shops. A family guy is always a family guy. He will always think first about his family’s needs and comfort before anything else. 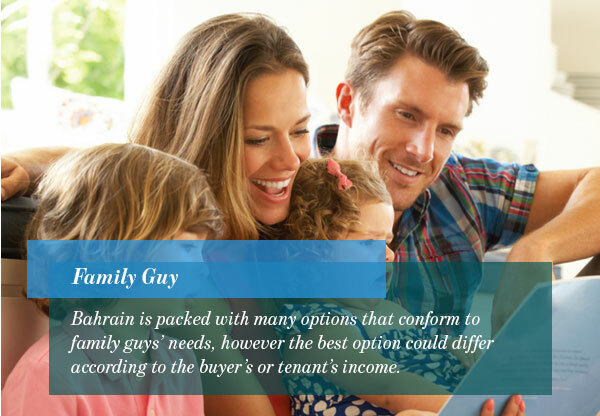 Bahrain is packed with many options that conform to family guys’ needs, however the best option could differ according to the buyer’s or tenant’s income. Isa Town, for example, is the best for middle-income family guys. Its location in the center of Bahrain isn’t the only thing that makes it better than other localities. Isa Town is also well-serviced with the best communal facilities, it has various schools, hospitals, clinics, mosques, and other. Many supermarkets and shopping malls can be found in the area too. Moreover, it has a direct access to Sheikh Salman Highway that attaches it to all other parts of Bahrain. On the other hand, wealthy family guys would find Amwaj Island very convenient. It’s a luxurious place to stay in offering high-end living experience that absolutely fits their expectations. Amwaj is a closed community that has it all, starting from affluent promenades and gardens, fancy restaurants, cafes, health centers, gyms, spas, running courses and all other amenities. The district presents a big collection of residential units varying between palatial villas, penthouses with splendid sea views, and smart studios. We all know this type of person who prefers to stay alone most of the time and is fond of plunging into theories and ideas to come up with his own understandings of the world. These dreamy personalities just want a quiet and serene area away from the city’s noise to clear their minds, that’s why Durrat Al Bahrain is definitely their best option. It’s a marvelous seaside community that lies only 40 kms away from Manama. To live in Durrat Al Bahrain, this means you’ll enjoy a set of unrivaled perks including a magnificent view of the sea, total serenity, various amenities, direct access to King Hamad Highway, and many other. Unlike thinkers, practical persons can’t take living in total serenity, they’ll feel like being in desolation from all life means. They tend to weigh each and every aspect of their lives with their minds. As a matter of fact, if practical people are displayed to a bunch options, they will get to pick the one that gathers the biggest share of benefits without giving regard to their personal inclinations or temptations. Um Al Hassam and Mahooz would represent this kind of option for practicals. Although they are not the loftiest in Bahrain, but they lie in central locations, display convenient sale and rent prices, and have a quantum of amenities to enjoy. So, if you are a practical person who is about to live in Bahrain Kingdom, you should consider Um Al Hassam and Mahooz. For Saudi nationals or foreign expats who live in Bahrain and work in the Eastern Region of Saudi Arabia, living in Janabiyah or Budaiya is definitely their best option. Al Janabiyah and Budaiya feature different types of residential units that have one certain trait in common, fanciness. Either you are living in a studio, flat, or a luxury furnished villa. Your living experience in these areas will always be exceptional. They are well serviced with communal facilities, well located next to King Fahd Causeway, and offer magnificent views of the sea. Many entertainment and leisure destinations are found there including restaurants offering multinational cuisines, retail centers, cafes, cinema halls, and close proximity to Bahrain’s best beaches. Food addicts who would love to palate various relishes brought from the world’s top cuisines are best to live in Adliya district, which lies in the heart of Manama, Bahrain. Dozens of world-class restaurants offering fancy and delicious plates are found there scattered around the area. Between Italian, Chinese, Korean, Egyptian, Arabian, and modern metropolitan restaurants boasting multi-national plates, you will have a big bundle of savvy destinations to enjoy each and every day. As a matter of fact, Adliya is food lovers’ haven in the kingdom island. Its restaurants are definitely inexhaustible sources of joy for all Bahrain food maniacs, either nationals or foreign expats.